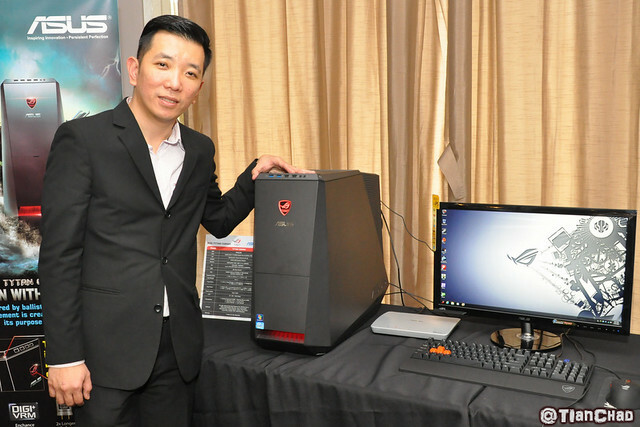 ASUS, maker of the world's best selling and winner of multiple awards motherboards announced today the launch of its desktop products line in stores nationwide. 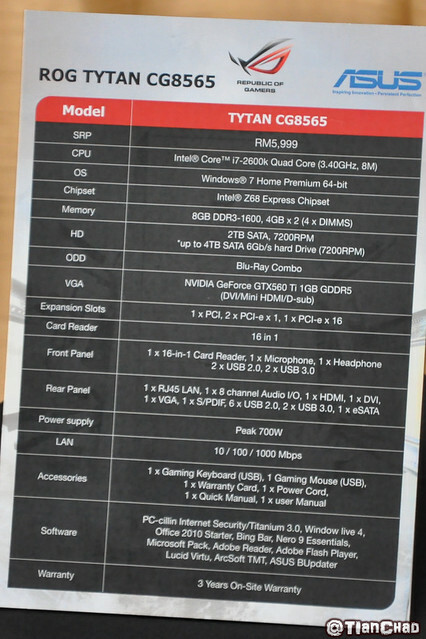 To commemorate the event, ASUS also presented its new ROG Tytan CG8565 Desktop. This powerful desktop is powered by Intel 2nd Generation Sandy Bridge processor and NVIDIA's Directx 11-ready GeForce discrete graphics card. 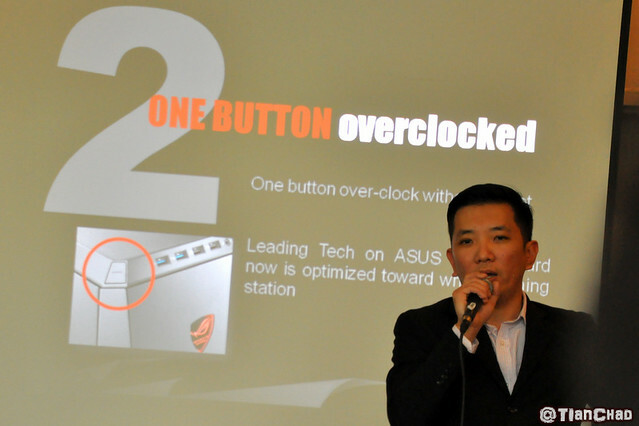 "With the new launch, buying an ASUS Desktop means that you get a single on-site warranty covering the entire machine. 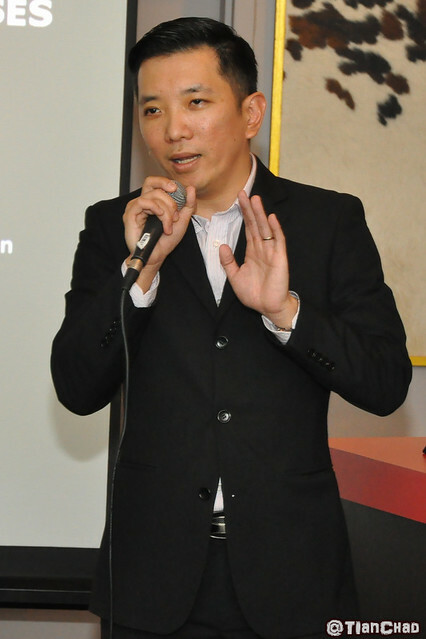 This provides much more convenient for the consumers," said Jacky Lim, Business Development Director of ASUSTek Computer Malaysia Sdn. Bhd. The light will switch between blue and red color. 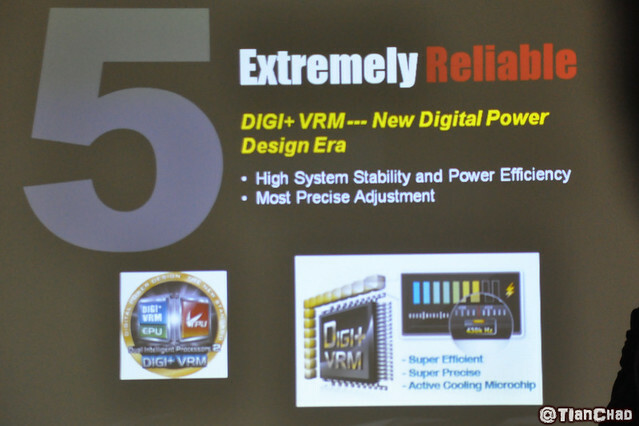 ASUS ROG Tytan Gaming Desktop was claimed to extremely reliable with its DIGI+VRM [New Digital Power Design Era] that provides high system stability and power efficiency. 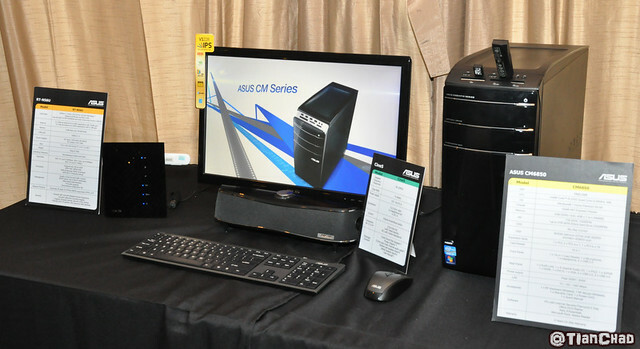 ASUS CM Series Desktop was also displayed during the event. 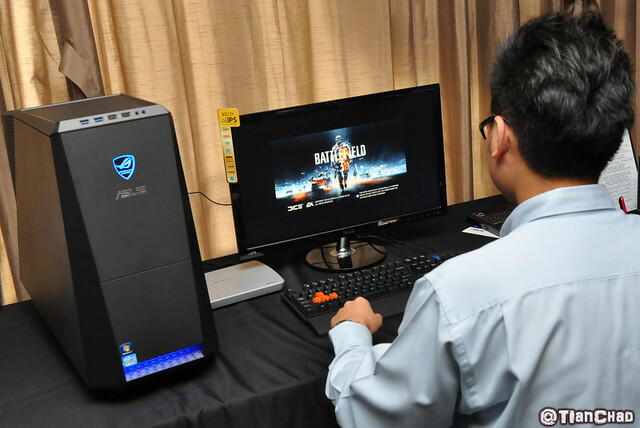 Inspired by the ballistic missile submarine coupled with ASUS' motto of never compromising standards, the Tytan runs on Intel 2nd Generation Core i7-2600k processor combined with ASUS Z68 motherboard, 8GB DDR3-1600 memory, NVIDIA GeForce GTX560-Ti 1GB graphics card and a 2TB 7200RPM HDD. It provides 8 USB ports (USB2.0 x 6, USB3.0 x2) in total as well as DVI and HDMI outputs and a 16-in-1 card reader. 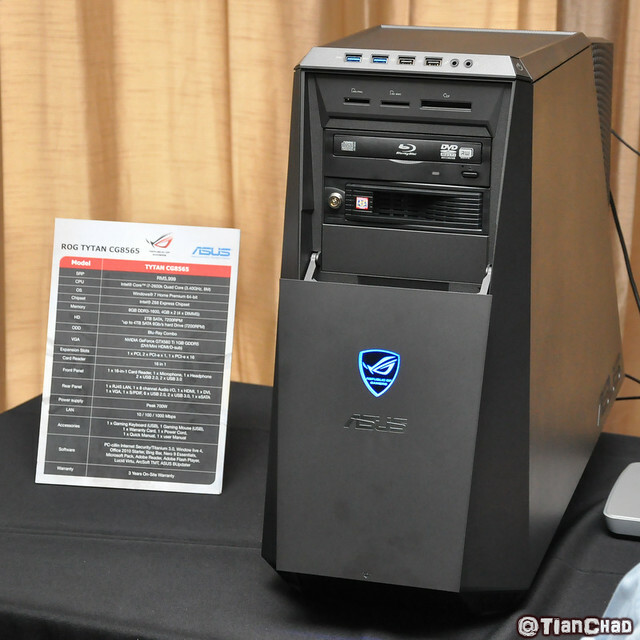 It is also equipped with a Turbo button that overclocks the CPU from 3.4 GHZ to 4.2 GHz. TO ensure a stable overclocked gaming station, the Tytan is specially equipped with excellent thermal management, the Asetek Liquid CPU Cooler out of the box. 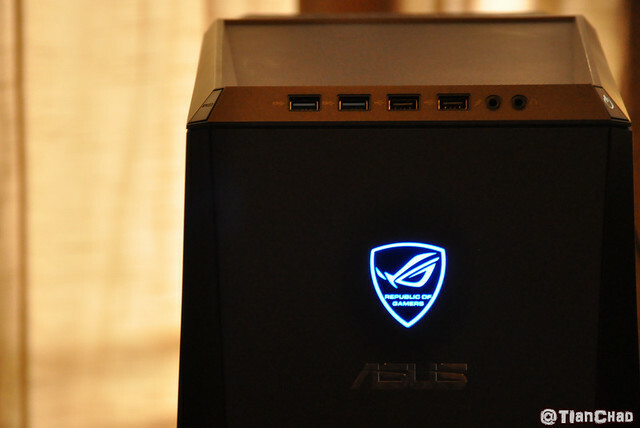 The shining blue on ROG Tytan Gaming CPU Cover. It will turn red once overclock button was pressed. So far the images is smooth. It would be better if speaker are attached so we know the sound quality too. The cover of AUSS ROG Tytan will slide down once you press on it. Revealing the CD-ROM, Card reader slot and many more. I somehow interested with this headphone too. It just looks awesome. All ASUS Desktop products are backed by a 3 years on-site warranty, designed to deliver convenient, flexible and timely warranty repair service at the customer's nearest location. This helps to minimize downtime, worry and hassle to customers. 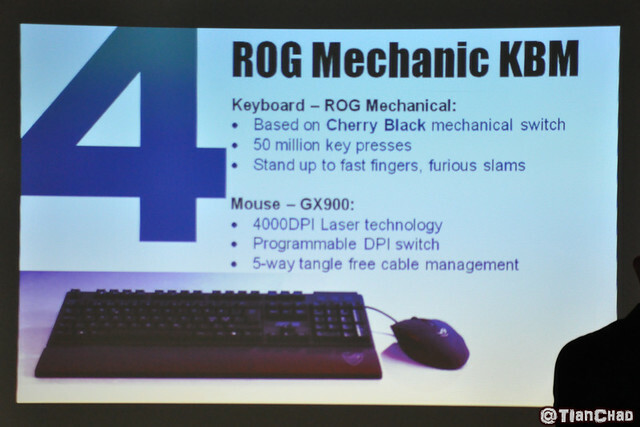 As for review of ASUS ROG Tytan? You definitely need to try it out and experience yourself whether it fits your needs. Let's hope ASUS will let me review one soon! 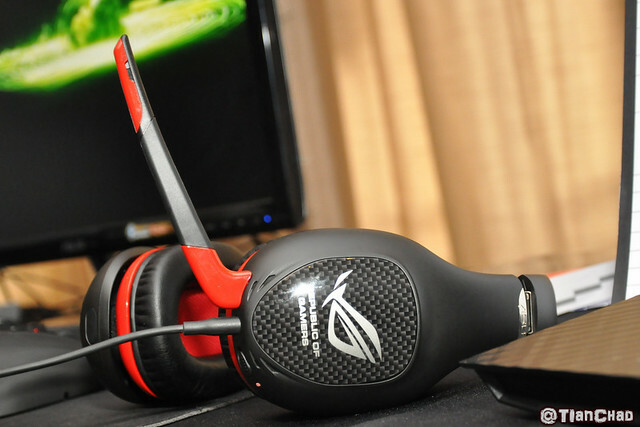 For latest product specifications and features , check out my.asus.com for further details.